A plan to spray pesticide on oyster beds has been opposed by federal scientists from the start. Now some state lawmakers in Olympia want to go around the science. Remember the too-crazy-to-be-true plan to spray pesticides on oyster beds out on the Washington coast? It’s back. And this time, it doesn’t want to answer any pesky scientific questions. New bipartisan bills in the state Legislature in Olympia not only order full speed ahead for the chemical spraying, by May of this year. They also would exempt the spraying from environmental review entirely. The issue, which first came up back in 2015, is that burrowing shrimp are loosening the intertidal soil, turning it, in spots, into goo. Oysters then sink and suffocate. So the industry, which is huge in Willapa Bay and Grays Harbor, wants to cull the native shrimp by immobilizing them with imidacloprid, a neurotoxin used in farm insecticides. The problem is that imidacloprid is highly toxic to aquatic invertebrates. Right on the bottle it says: “Do not apply directly to water.” So the chemical hasn’t previously been approved for spraying into any marine waters. When I wrote about this in 2015, I did so because the two biggest federal agencies with oversight of marine life both had come out against the spraying. Scientists from the National Atmospheric and Oceanic Administration and the U.S. Fish and Wildlife Service had studied it and concluded: Too risky. In the uproar that followed, the spraying was withdrawn. In 2016 the oyster growers reapplied, reducing the area of the spray. But the federal scientists again opposed it — this time in even stronger terms. “Benthic community” means bottom-dwellers, such as crabs. In a shocking example, the National Marine Fisheries Service highlighted a field trial in which researchers sprayed imidacloprid, and then came back 24 hours later. Of the 141 Dungeness crabs they counted in a sample area, 93 were dead. Forty-four had “tetany,” or involuntary muscle spasms. Just four were still healthy. I’ll say it’s concerning: Ninety-seven percent of the crab ended up dead or having seizures. But that’s pretty much the point of imidacloprid, which specifically targets insects and invertebrate critters. The state denied a permit for the spraying last year, concluding that “new research points to greater impacts in land and water ecosystems than previously known.” It issued an 885-page review, which included the scientific objections quoted above. The bills in the Legislature would simply chuck all that. “By May 15, 2019, the department shall authorize the use of imidacloprid to control infestations of burrowing shrimp in Willapa Bay and Grays Harbor for the 2019 treatment season,” orders Senate Bill 5626 (there’s a similar bill in the House, HB 1611). 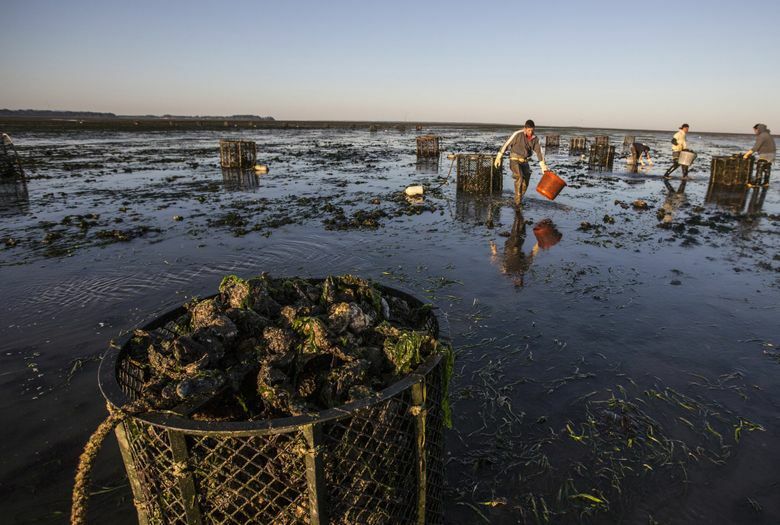 The bill goes on to exempt oyster pesticide spraying from the state’s “most fundamental environmental law,” the State Environmental Policy Act, as well as two water quality laws. It also transfers the issue from the Department of Ecology to Agriculture. 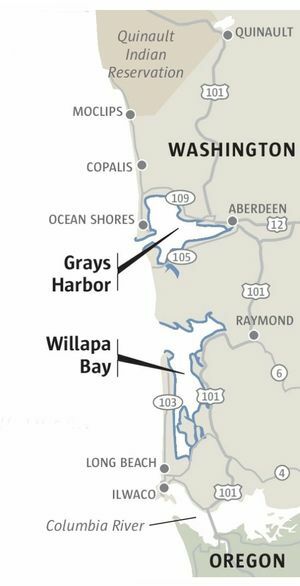 “They clearly see Willapa Bay as a field plot, not a wild ecosystem,” Barkhust said. Some big oyster companies have responded to the shrimp threat by raising their crop off the bottom, suspended in the water. But smaller growers say they can’t afford the higher equipment and labor costs with that method. That completely ignores that teams of biologists from the two federal agencies most concerned with wildlife protection looked at this, twice. Both times they rejected it. It’s true that back in D.C., politics has science on the run but good. Surprising to see the same Trumpian tactics deployed so bluntly here.